Breast Cancer affects 1 in 9 Irish women and there are currently 2,800 new cases diagnosed annually. While survival rates are improving through screening and awareness campaigns, there is still a lot more to be achieved with the help of Breast Cancer Ireland. 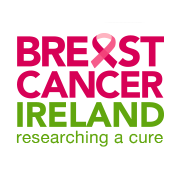 Breast Cancer Ireland is established to raise significant funding to support pioneering research programmes nationally as well as to promote education & awareness on the importance of breast health amongst women of all ages.